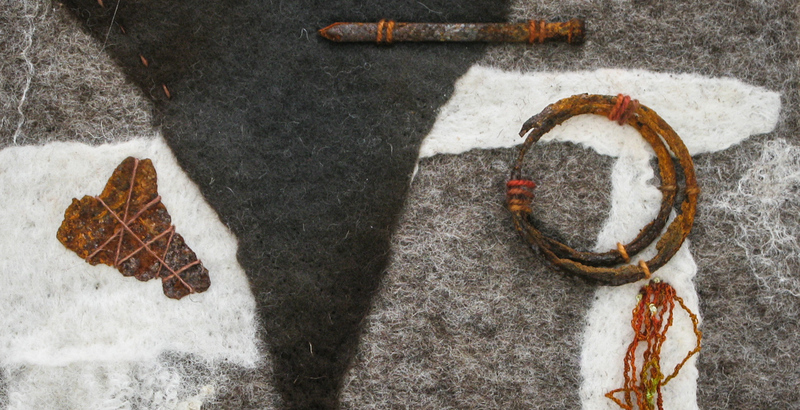 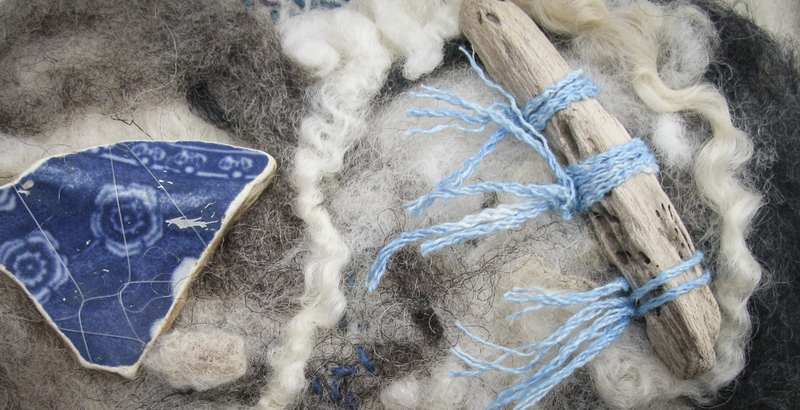 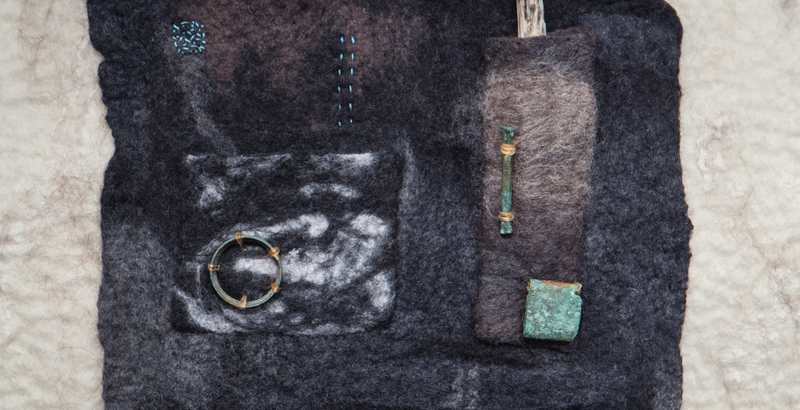 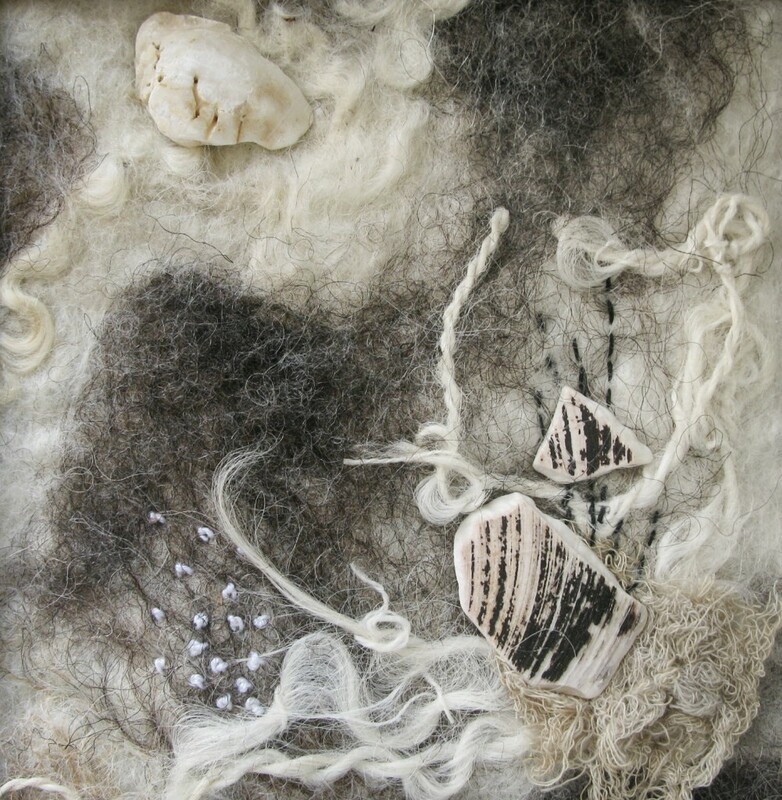 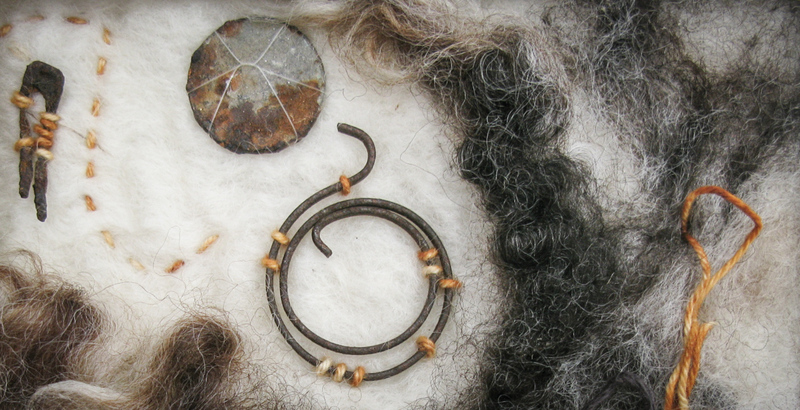 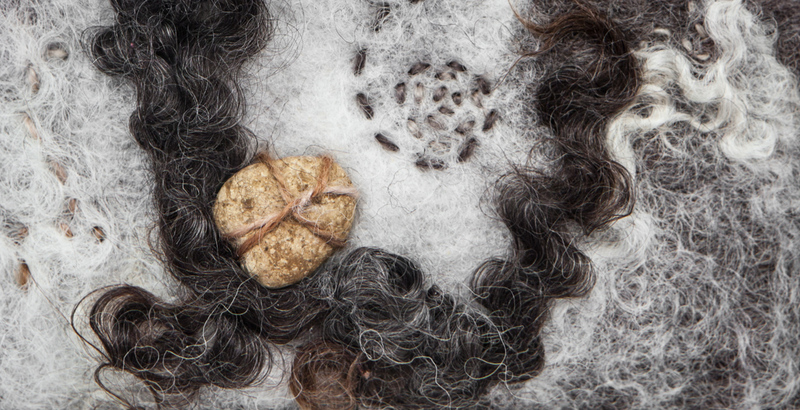 I find inspiration in the burial chambers, bays and coastline of Anglesey, and the finds from these areas are combined with the colours and textures of slate, rocks and pebbles in my felt work, incorporating found objects into the work where possible. 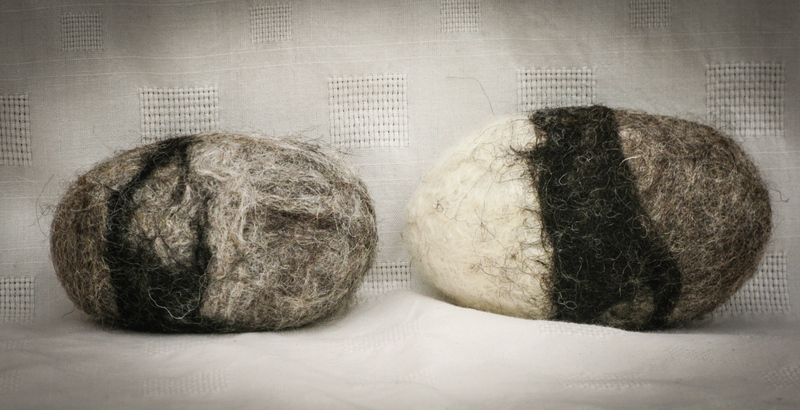 I use natural, undyed, British wool with its wonderful range of textures, colours and curls. 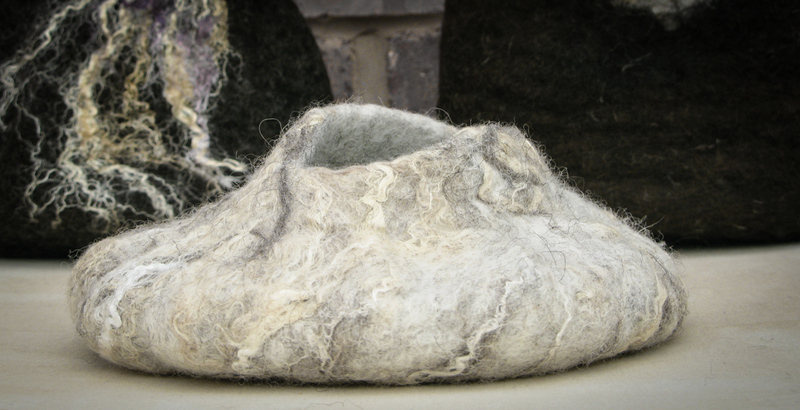 I love the tactile qualities of felt and the possibilities of producing everything from a soft and varied landscape to a durable, three-dimensional vessel. 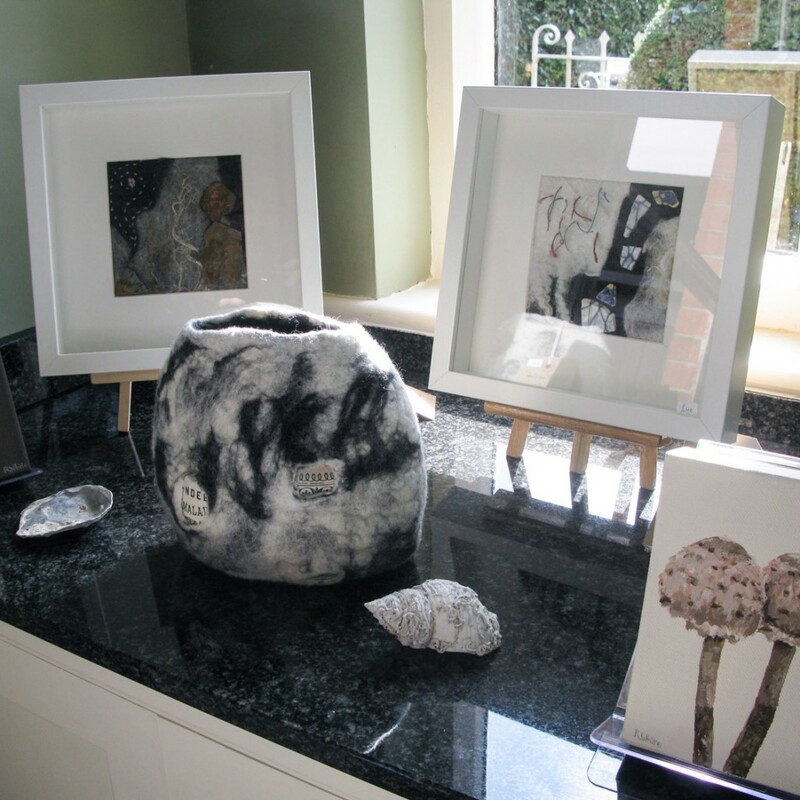 I aspire to bring my life-long painting skills to this three dimensional world. 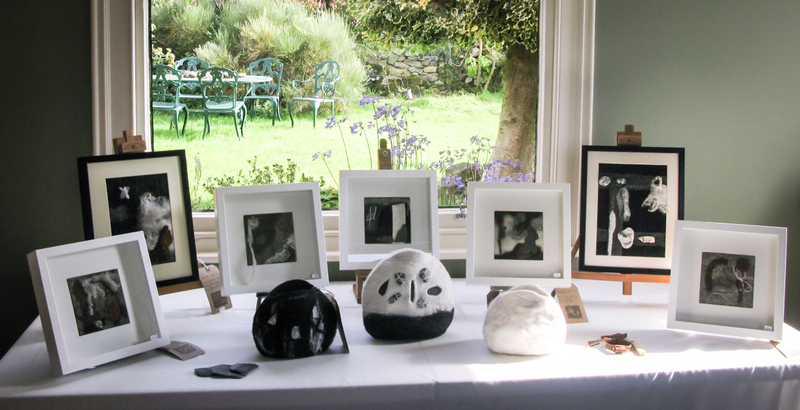 I am currently exhibiting at the Helfa Gelf 2016 Eurgain Studio, Rhosesmor, Flintshire. 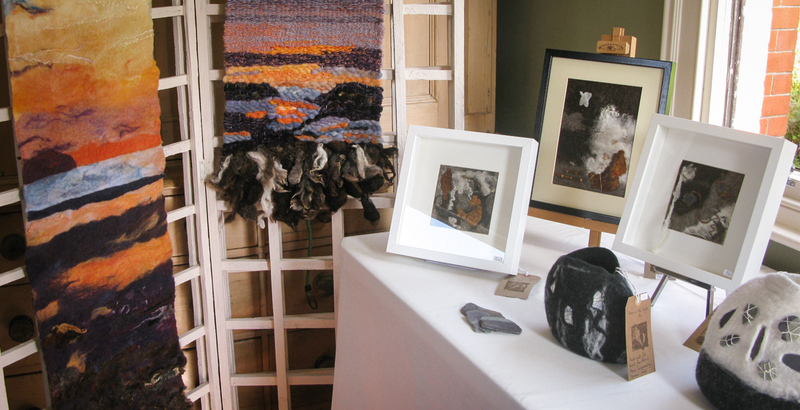 You can see my work on Saturday 10th/Sunday 11th and Saturday 17th/Sunday 18th September. 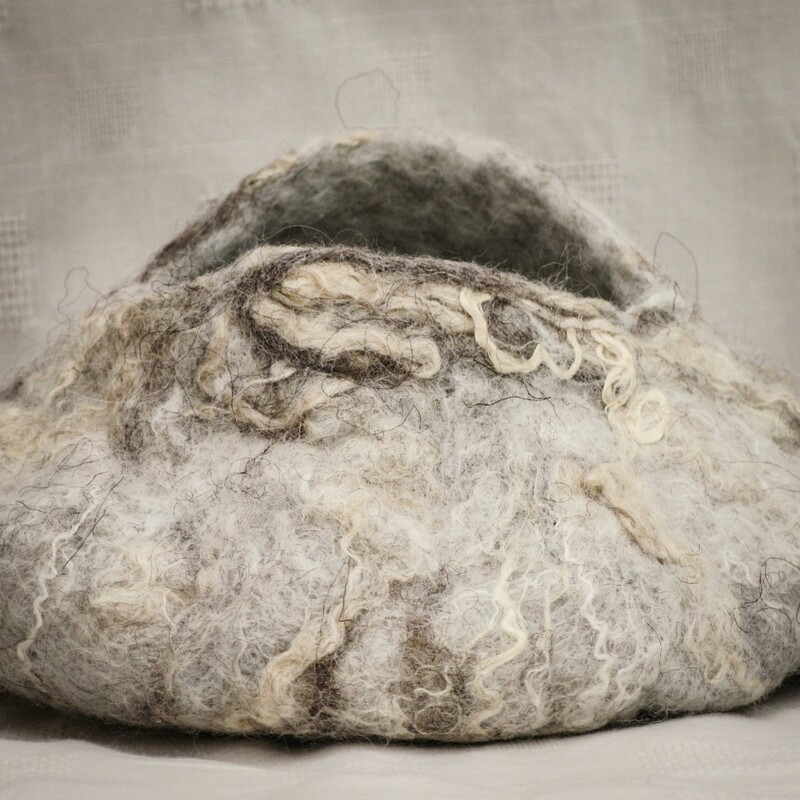 See the Helfa Gelf website for more details.